It was at the end of this film too that I encountered Hussein, the same P H D environment student of my last year trip (the first time I met him was in 2014 on the plane to Zurich). He told me: “after watching this film and its main characters, I have a pleasant feeling”. Pointing out the lover old Swiss couples who were still seated in the theatre, he told me if one of these couple die, the other one won’t cope with the loss and would die after a few months. And he adds: “their watch is constantly running in the other one’s world.” What a jolly interpretation! 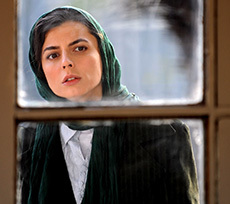 The audience considers Risk of Acid Rain a poetic work of modern Iranian cinema and they appreciate the portrayal of the old lonely man and the acting of Mariam Moghadam very much. The charming structure of I’m not Angry, and its love story attract the attentions too. There are two Iranian films that I’ve never seen. Paradise directed by Sina Attaeian Dena has been shown at Locarno Film Festival this summer. It’s about a young teacher who tries to change his job because of its long distance and his problems at home. But forget about the subject, the social problems and some other things the film tries to convey. First let’s talk about its structure: the film’s rhythm is very slow; the sequences are long with lots of superfluous ramblings. The acting is boring, and some of the experienced actors like Fatemeh Taghavi, appear below their capability. For being watchable, this film should be cut extensively and re-edited. No damage will be done, I assure you! I wish Ataeian could be more successful in his second experience. The next film, Atomic Heart (Ali Ahmad-zadeh) is a surrealist work. It takes the audience together with its main two characters (Pegah Ahangarani and Taraneh Alidoosti) to his unreal world. The film is about two young girls who, one night returning from a party have strange adventures. Mehrdad Sadighian(who also appeared in Poor-Ahmad’s Nightly Bus), has a remarkable presence in the film. But Atomic Heart’s story, which goes smoothly ahead with only its funny moments, after presenting Sadighian’s character plunge into a paranoiac world that the audience only wishes to be over soon. 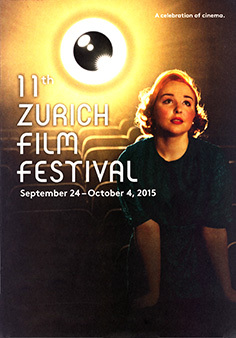 But duality of this film is purposefully evident in the programming of Zurich Film Festival itself! 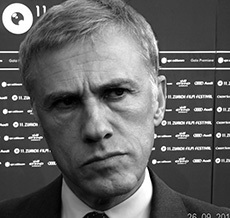 With introducing the films of young filmmakers at competition and documentary section, the Festival wants to emphasize on its cultural aspect and on the other hand, by inviting the celebrities and stars like Christoph Waltz, Arnold Schwarzenegger and Jeremy Irons, and presenting the most buzzed about new movies, has the intention to attract more sponsors and new audiences. It is said that the audiences were 7% up this year with an augmentation of 0/2 million Francs in Festival budget. And that’s how a Festival grows so well that an unknown Bulgarian film could be seen and appreciated by many. 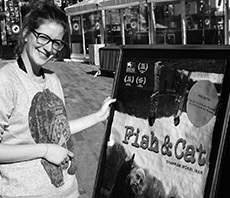 This year 161 films are presented in 11 sections. 460 people from around the world are invited by the Festival. During the Festival there are going to be master classes for enthusiasts and the most famous lecturer would be Mike Leigh, the British filmmaker. The lovely weather of the first days of autumn together with the presence of young filmmakers and warm reception of a large audience encourages us to be out and watch films all day long. Our popular actress, who has lived in Switzerland for 30 years, says: “Normally, the Swiss begin to learn the second language at the age of 11. They can speak at least 2 languages. But not only language, they learn lots of other things.” And one of these things is their famous discipline. Here at the Festival everything is minutely programmed. The competition section includes new talents in fiction and documentary cinema from around the world; there’s also a competition section for Swiss, German and Austrian filmmakers. But as I’m personally eager to watch the debut futures and also second and sometimes third ones, I attend mostly the main competition section. In fact I prefer them to movies like Carol (Todd Haynes), Black Mass (Scott Cooper), and The Walk (Robert Zemeckis). Sleeping Giant (Andew Cividino) is the best film that I see at the competition. 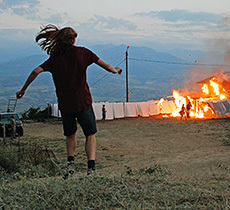 This debut future was present at this year’s Semaine de la Critique of Cannes Film Festival. It’s interesting to know that the film’s director made a short version of his film last year but because of its success, decided to make a longer version afterwards. It is summer holidays and Adam, a young boy, has gone to a mountain resort with his family. Under influence of his cousins and also, a neglectful father who is unfaithful to his mother, he’s going to experience a different world and have some clashes with his father. Thus the dreadful reminiscence of that difficult and painful summer stains his entire adolescent life. It’s interesting that a large segment of the film’s audience were actually the adolescents, the same age of the film’s characters, who’s been invited to watch it carefully as an edifying experience. 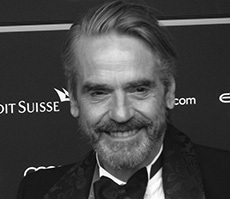 Usually, the presence of some memorable films is the reason to remember an edition of the Festival years after. One of the interesting films of this year is The Miracle of Tekir (Ruxana Zedine) one of two Swiss films present at competition section. This film which won the special prize for a new Swiss talent has an absorbing story: Mara, getting pregnant out of marriage, has stirred the rage of her village people and thus, is forced to leave her birthplace. Tekir village is near a swamp and her pregnancy is in fact caused by her being immersed in it. This is off course a miracle that does not happen to everybody. A poetic film that emphasizes on merits, it reminds you of Andrei Tarkovski’s cinema, its miracles of pure nature and true faith. But as breath- taking is the first one, the second Swiss film, A Decent Man (Micha Lewinsky) is not. It’s a weak drama that perhaps can entertain some viewers, but is forgotten soon afterwards. As simple as that: Thomas and his family intend to spend their holiday skiing on a mountain resort. On his way there, Thomas picks up girl of his friend too. Up on the mountain the girl is raped by someone. She asks the man to say nothing about the incident to anybody. Gradually the girl falls for the man. But after an accident the girl forgets all, but now it’s Thomas who can’t forget. Tomas’s character is demure and gentle and the film’s title points out on that, but he has very strange reactions which reveal another aspect of his (absurd and ridiculous) personality. On top of that, the script is not convincing at all and can’t really affect the story or the audience. Thirst (Bulgaria, Svetla Tsotsorkova) is a debut future from one of the women filmmakers present at competition that everybody is very enthusiastic about. The reason is not only the thirst of love hidden in its subject; its stylized structure too is an important element that sweeps the viewer along: a well digger with his daughter go into a rural area to secure a family’s water. There, after some initial disagreements, the girl falls for the family’s son. But there will soon be some incidents which results in the annihilation of both families. At the end, the only thing that survives is their love to quench their thirst. But the good reviews were not enough and the top competition award went to Rams (Grimur Hakonarson) from Iceland and Denmark. Eva Nova (Mark Skop, Slovakia,Czech Republic)about a forgotten movie star, is an indictment of cinema that cruelly silences its stars. It’s not a good film, but I only mention it because it reminds me of my favorite star. I’d also like to say that the reason for this forgetfulness is not all cinemas’ fault. Sometimes the actors too are responsible for their decline. Otherwise why our favorite actress is still around and popular? Documentaries in the competition section have their very serious fans too. Mother’s Wish (Joonas Berghall, Finland, Sweden, and Denmark) is the best that I saw in this section. The filmmaker has done a very difficult job. He’s gone to ten countries and documented about hopes, problems and endeavors of mothers who want to build a better future for their children. The filmmaker had a distinct scenario for each mother and thus every episode looks like a short film. 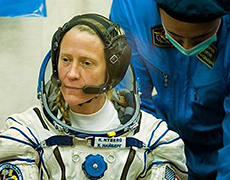 The most impressive one concerns a spacewoman who is in communication with his son from outer space. Sometimes we can see this woman who’s eager to have news from his son, alternately, in-between the other women episodes. Curious point here is the absence of men in the film! In entire film there’s not even an extra part for any man. This is a documentary that must be seen in a theatre on a big screen. But the next one, Containment, an American documentary is more suitable for television. Containment is made by two University professors, Robb Moss and Peter Galison about the dangers of radioactive materials and its persistence in the nature. It’s a talking head documentary, full of customary dialogues in this kind of films. It shows that you can be a very erudite professor and have lots of information and at the same time, not to be a very good filmmaker. In Special Section of the Festival, there’s a new and brilliant documentary which I wished you could see! 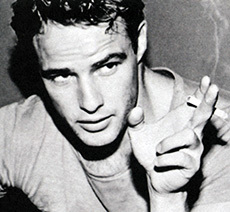 Listen to me Marlon (Steven Riley, Britain) is full of interesting clips and anecdotes from behind the scene of Marlon Brando’s movies. Hearing his voice, from his youth and old age periods has given the picture more punch. His presence at his son’s trial (who’s been charged with committing murder) to defend him and that famous crying scene at the court seems as if he’s playing a part in real world or, his life itself is a kind of cinema. In one of the most interesting scenes, the television interviewer is talking with Marlon Brando and suddenly he asks Brando’s father to enter the room. When his father reproaches him you must see Brando’s face! Film ends sadly with Brando’s death: He’s playing with Michael‘s son. The boy shoots him and Brando dies in Godfather and in the real world. Atlan and I Want to Be a King are two other noticeable Iranian documentaries that are shown in Iranian Cinema section. I Want to Be a King is a good documentary that I fully recommend. Either a documentary or a mockumentary (because of the story’s quality), it is in every aspect a new phenomenon in Iranian cinema. On the last day of the Festival I went to Tolochenaz village to meet our popular actress. I wanted to be there at breakfast time. Her son in a new published book says that she is an early riser and a breakfast devotee too. So I mustn’t be late! First I go to Bern and from there I take a train for Lausanne and then I change and take another train for Morges. From there I take a bus to Tolochenaz. After three hours journey I get there at about 9 O’clock. This is a quiet and beautiful village, with a pleasant and cool weather. Getting out of the bus, as though thrown out into a familiar movie sequence, I’m the only person in that landscape!